It’s late spring and flowers are smiling under the warm sun every where! To me this is the most beautiful time of the year and also one of the most popular time for weddings. Some brides choose flowers based on their colors, their scents or their prices. However it might be interesting to learn what your wedding flowers mean, it can be practical too, for example you can use these flower meanings as table names. 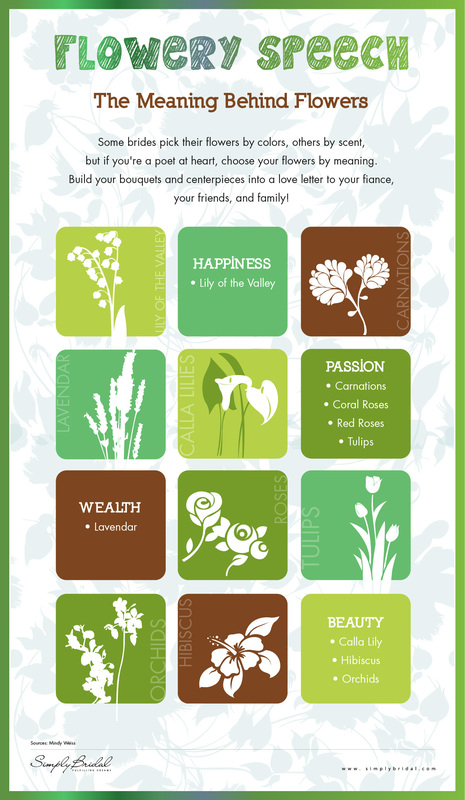 In this infographic, you will learn the meaning of some of the most popular wedding flowers. Feel free to share and spread the message!